Within the canon of European photography books it would be difficult to find one more famous, revered and influential as Henri Cartier-Bresson's The Decisive Moment, wrote Jeffrey Ladd in Time LightBox, in a feature on Steidl's new edition of this ultimate photobook classic. 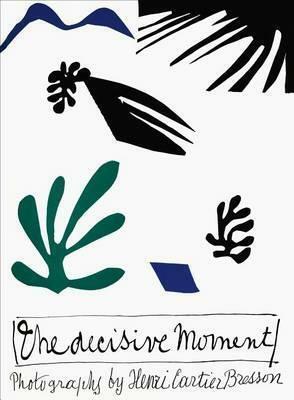 Originally published in 1952, this collection of Cartier-Bresson's best work from his early years was embellished with a collage cover by Henri Matisse. The book has since influenced generations of photographers, while its English title defined the notion of the famous peak in which all elements in the photographic frame accumulate to form the perfect image--not the moment of the height of the action, necessarily, but the formal, visual peak. This new publication--the first and only reprint since the original 1952 edition--is a meticulous facsimile of the original book that launched the artist to international fame, with an additional booklet on the history of The Decisive Moment by Centre Pompidou curator Clément Chéroux. Henri Cartier-Bresson (1908-2004) was born in Chantelou-en-Brie, France. He initially studied painting and began photographing in the 1930s. Cartier-Bresson cofounded Magnum in 1947. In the late 1960s he returned to his original passion, drawing. In 2003 Cartier-Bresson established the Fondation Henri Cartier-Bresson in Paris, one year before his death. Within the canon of European photography books it would be difficult to find one more famous, revered and influential as Henri Cartier-Bresson's Images a la Sauvette or, as the American edition is titled, The Decisive Moment. Henri Cartier-Bresson was born in Chanteloup-en-Brie in 1908. He initially studied painting and began photographing in the 1930s. Cartier-Bresson co-founded Magnum in 1947 and subsequently travelled extensively. In the late 1960s he returned to his original passion, drawing. In 2003 Cartier-Bresson established the Fondation Henri Cartier-Bresson in Paris, one year before his death.